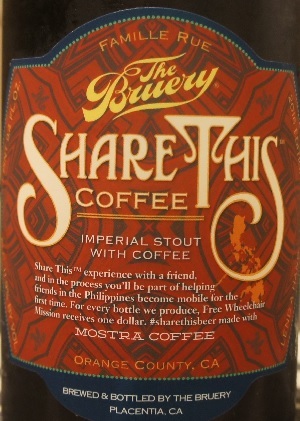 Brewer Description: (from bottle) Share This experience with a friend, and in the process you’ll be part of helping friends in the Philippines become mobile for the first time. 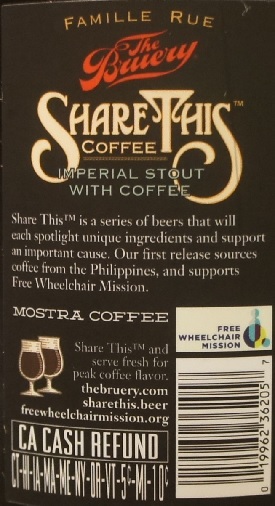 For every bottle we produce, Free Wheelchair Mission receives one dollar. #sharethisbeer made with Mostra Coffee. Intro: A 750ml bottle, batch #315, bottled on 2nd May 2016. Poured into a Lost Abbey teku glass. Appearance: Dark dark brown in colour with an almost two finger dark mocha head that had pretty good retention and left some lacing. Aroma: Dark roast coffee, dark fruit plum and raisins, molasses and dark chocolate. 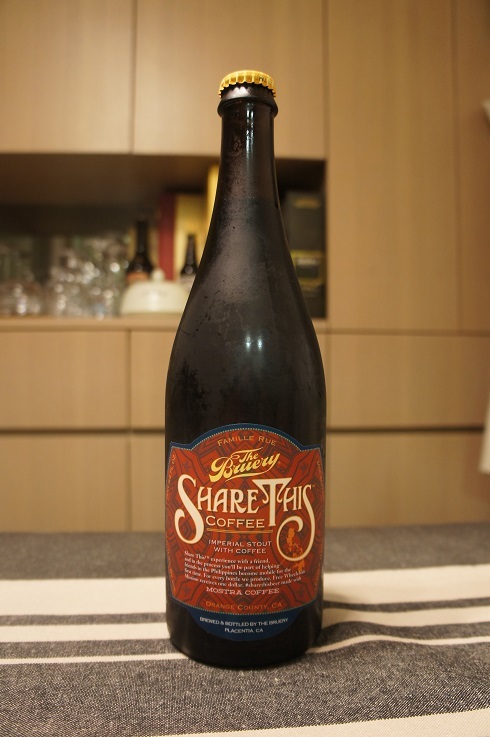 Taste: Dark fruited chocolate, cherry and plum sweetness, molasses, booze. Only light coffee notes along with hints of caramel. Mouthfeel: Smooth, medium to full bodied with light carbonation and a hint of alcohol. Overall: The coffee flavours were not as strong as I would have expected. 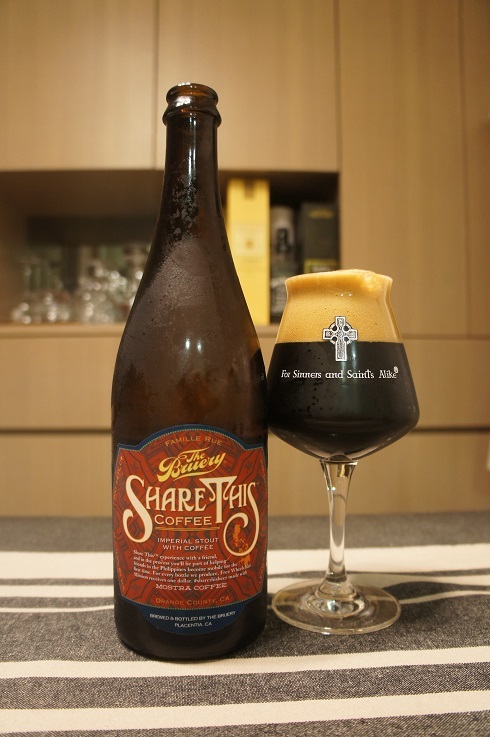 To be fair, it has been almost one year since bottling, but there are many examples of Coffee Stouts, where the coffee has held up really well. Having said that, this bottle is still tasty and really easy to drink, and whereas some Imperial Stouts I can sip for hours, I have pretty much finished this 750ml bottle in less than an hour, which is really fast for me, for a beer with double digit ABV%.